Haiti shares the island of Hispaniola with the Dominican Republic, and the country is mountainous with the highest peak, Pic La Selle, at 8,770 feet. Haiti is among the poorest countries in the West, but it has a rich culture in art and music. Significant art galleries can be found in Pacot, Pétionville, and Jacmel. In the capital city, Port-au-Prince, the Musée du Panthéon National displays an anchor from Christopher Columbus' Santa Maria. The city of Cap-Haitien, once called the Paris of the Antilles, is famous for La Citadelle, an early nineteenth-century fortress which took thirteen years to build. Monocle. Wednesday, 17 Apr 2019 17:20:00 GMT. 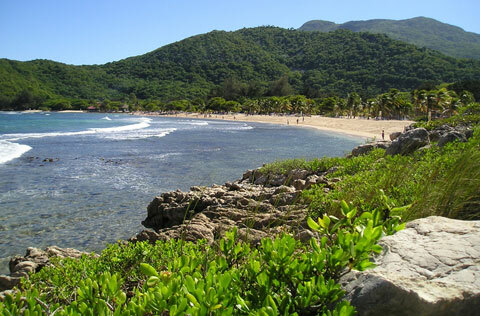 Beaches may be found along Haiti's northern coast. Keep in mind that Haiti has two rainy seasons, in April and May and again in September and October; hurricane season runs from June to November. On January 12, 2010, a massive earthquake caused extensive loss of life and infrastructure damage in Haiti. Although relief efforts were substantial, the island has not fully recovered from this tragic event. American visitors to Haiti are encouraged to check travel warnings for Haiti on the U.S. Department of State Bureau of Consular Affairs website and to contact the U.S. Embassy in Port-au-Prince before planning a trip and upon arrival to Haiti. Ongoing security concerns have hindered the development of Haiti's tourism industry.